Цитирую закон: По договору поручения одна сторона (поверенный) обязуется совершить от имени и за счет другой стороны (доверителя) определенные юридические действия. Права и обязанности по сделке, совершенной поверенным, возникают непосредственно у доверителя. (ГК РФ Глава Поручение ст. 971 и аналогичное правило во всех системах права, всех стран мира вплоть до Древне-Римского периода). То есть представитель, когда он заключает сделку от чужого имени считается продолжением «руки» доверителя, а не самостоятельным субъектом договора. Это азы права и всем юристам и просто образованным людям они прекрасно известны. Если РФ самозванством провозгласила себя продолжателем СССР и должником, а так же кредитором по внешним обязательствам и активам СССР, то как можно это сделать без соблюдения тех же правил относительно внутренних должников и кредиторов? Или как можно сказать что я продолжатель, но законов СССР соблюдать не намерен — то есть имущество граждан СССР забираю, а сам договор граждан СССР не признаю? The Union of Soviet Socialist Republics, as the Soviet Union , the Soviet Union — state that existed from 1922 to 1991, the year in Eastern Europe, North, Central and parts of East Asia. USSR held almost 1/6 of the Earth’s land inhabited; at the time of the collapse was the largest largest country in the world. It was formed in the territory, which in 1917 held the Russian empire without Finland, part of the kingdom of Poland and some other territories. According to the Constitution of 1977, the Soviet Union proclaimed uniform federal multinational socialist state. After the Second World War, the Soviet Union had land borders with Afghanistan, Hungary, Iran, China, North Korea (to September 9, 1948), Mongolia, Norway, Poland, Romania, Turkey, Finland, Czechoslovakia and the sea with the United States, Sweden and Japan. the USSR was established December 30, 1922 by combining the RSFSR, Ukrainian SSR and Byelorussian SSR Transcaucasian SFSR in one state union with uniform government capital in Moscow, the executive and the judiciary, legislative and legal systems. Union republics (in different years from 4 to 16), according to the Constitution, considered sovereign states; formally for each Union republic retained the right freely to secede from the Union . The Federal Republic was entitled to enter into relations with foreign states, conclude treaties with them, exchange diplomatic and consular representatives, to participate in international organizations. Among the 50 founding countries of the UN, along with the Soviet Union were two of its union republics: the Byelorussian SSR and the USSR. In 1941, the Soviet Union entered the Second World War and after it, along with the United States was a superpower. The Soviet Union dominated the world socialist system, and also was a regular member of the UN Security Council . The process of disintegration of the USSR was characterized by a sharp confrontation between the central government and the newly elected Union local authorities (the Supreme Council, President of the Federal Republic). In 1989-1990, he started the "parade of sovereignties" . March 17, 1991 in 9 of the 15 republics of the Soviet Union was held a referendum on preserving the Soviet Union , where more than two thirds of citizens voted in favor of maintaining the renewed union. But after the August coup and its aftermath preservation of the USSR as a public education was virtually impossible, what was stated in the Agreement on the Establishment of the Commonwealth of Independent States , signed on 8 December 1991. December 26, 1991 the Supreme Council of the Republic Council of the USSR adopted a declaration on the cessation of existence the Soviet Union in connection with the formation of the CIS . In late 1991, the Russian Federation has been recognized by the state-continuer of the USSR in international legal relations, and took his seat in the UN Security Council. We expose the lies about " USSR ".. .
Firstly, the Union republics within the meaning of the term is not accurate, since according to the Declaration on the formation of the Soviet Union is a union of peoples, not republics. Republic is a form of self-organization of the people and not independent entities with the will to conclude treaties. Republic or other state — a quasi-subjects, that is conditional subjects. Will negotiation — is a mental property, and this property has just people — people. In this case, representatives of the voters, that is authorized by the nations signed an agreement on formation of the Union is not on its own behalf or on behalf of quasi-subjects, namely on behalf of those who commissioned them, that is, from the principals who elect them for the purpose of representation of their interests. Actions Representative create rights and obligations not he personally, and the person represented by that known to anyone who has ever read what the contract orders and distinguishes the principal and attorney. I quote the law: As an agency agreement, one party (the attorney) undertakes to perform on behalf and at the expense of the other party (the principal) certain legal actions. The rights and obligations under the transaction, perfect attorney arise directly from the principal . (Civil Code Chapter Order of Art. 971 and a similar rule in all legal systems, all over the world up to the Ancient Roman period). That is a representative, when he enters into a transaction on behalf of others is considered to be a continuation of "hands" of the principal, but not an independent subject of the contract. This is the basics of law and lawyers and all just educated people they are well known. Confirmation that it at the conclusion of the Treaty of the Union was a question of peoples as subjects of the contract, we see in the Declaration (will of the peoples of the Soviet republics, who recently assembled at their congresses of Soviets and unanimously decided to form the "Union of Soviet Socialist Republics," is a sure guarantee that this alliance is a voluntary association of equal nations ). That is, an international treaty in the strict sense of the word — an agreement between the peoples, that is, an agreement together people — citizens of the republics of voting age, who were principals in the election of their representatives to the representative bodies — the Board. That is the party and the party of the contract initially serves man-citizen of the Republic, a member of the treaty. Later in the Treaty establishes uniform federal citizenship of the parties to the agreement and the text of the rule of the Union Treaty is included in the Constitution of the USSR, 24 and 36, as well as 77 years, which are taken as representative bodies of the people — the Supreme Soviet of the USSR and the Congress, and 17 March 1991 receives legitimacy and direct power of the people — the All-Union referendum on preserving the Soviet Union . That is technically not lie, but clearly manipulated. Logically immaculate could write that more than three people voted for the preservation of the Soviet Union , but the author’s intention is clear — to play down using the illusion of mixing the concepts in the reader’s mind — "two-thirds" and "more than two-thirds." In the future, we do not just find in many places, it is a welcome statement on Wikipedia — imperceptible substitution of meanings reversed. Secondly, the "process of decay" and "parade of sovereignties" of the USSR . Lies and the decay and falsehood of the parade. Congress of People’s Deputies of the USSR at the initiative of Gorbachev, Lukyanov and deputies from the Communist Party and other public organizations, illegally included in the congress of people’s deputies of the USSR in violation of the rules on equality of citizens-voters adopted a number of amendments to the Constitution of the USSR in order to change the constitutional order in the USSR — weaning and plunder of public property of the USSR , under the pretext of renewal of the Union Treaty (Ogorevsky process). Leaders of the Republic Party and the Republican Committee was instructed by the Central Committee of the Communist Party leadership and the legislative bodies of the USSR of the Declaration on the State Sovereignty of the national preparation for the renegotiation of the Union Treaty, which was done in good faith. Although the Constitution of the USSR and already contained a provision stating that the Federal Republic is a sovereign state (Art. 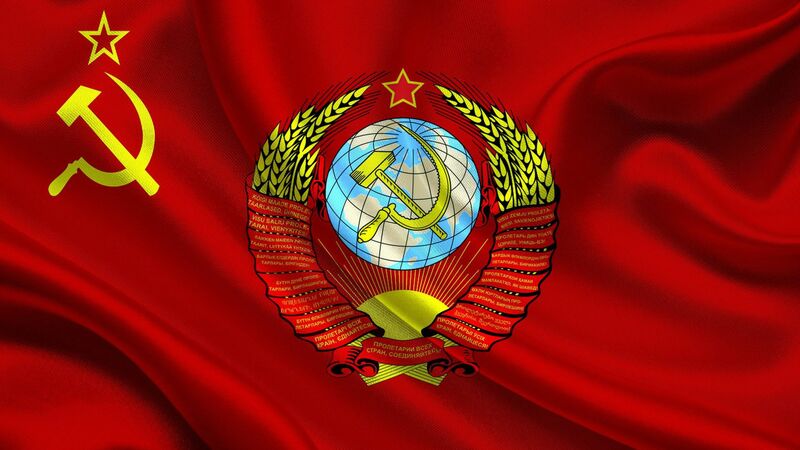 73) None of the Declaration of Sovereignty of the Republic does not contain the statement of withdrawal from the USSR . 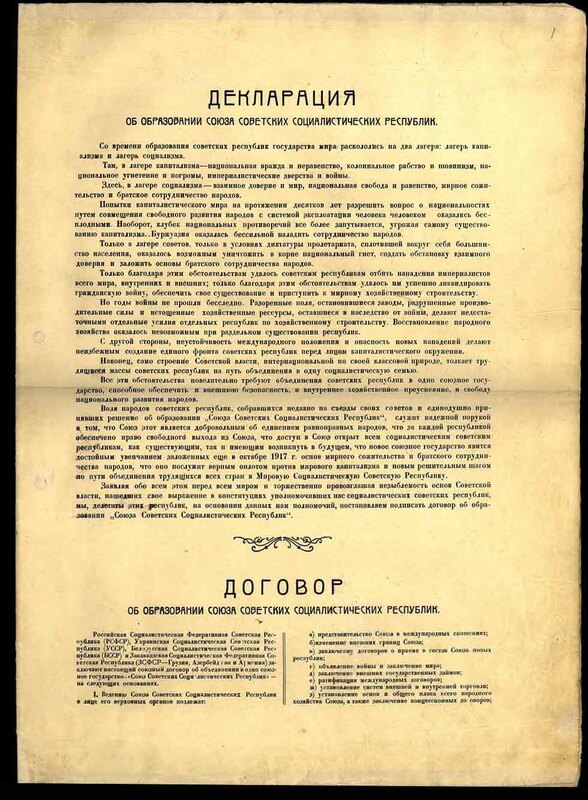 For example, in the Declaration of the Russian Federation clearly sets out that the Declaration was adopted for the purpose of renewal of the Union Treaty and all the provisions of the sovereignty of the Republic shall not affect the question of competence and powers of the USSR or the rights of citizens of the USSR . It contains similar provisions, and the Declaration on the Sovereignty of Ukraine, where he is no word on secession from the Union, but expressed the wish of determining the share of Ukraine in the assets of the USSR and all-union property. However, the implementation of all these machinations partOPG Party with preparations for the theft of public property of the USSR , there has been an indelible blemish — take property without the consent of the owner (the people of the Soviet Union ) any of its representatives could not. Deputies could still be bribed or intimidated, but to bribe the owner against his interests meaningless. And because solving this problem, after making the Congress of People’s Deputy of the USSR package acts to change the constitutional system (the introduction of the post of the president and the dismemberment of property (territory and financial institutions) in the republics under the slogans of independence extension) required to receive formal approval of the people. To do this, and was initiated by the All-Union referendum on the preservation of the renewed Union of the USSR . Meaning emphasis on updating the save interpreted as an endorsement of those criminal changes that have been made ​​by the Congress in the Constitution of the Soviet Union (excluding the base concept of public property). However, it did not work very smoothly, because the management of a single scenario event space has been violated and performers pumped. Instead of legalizing weaning property of the people’s will, as planned, we got the Executive vice — hasty action Republican leaders (Yeltsin, Kravchuk and Shushkevich), who broke the process of ogorevsky cent control of the conspirators in the CPSU Central Committee, and launched their — breaking anything and distorting plans . Concluded obviously invalid Belovezhskoe agreement. Then, instead of the legal process has become chaotic nature of deception weaning weaning force and cynical fraud. This eventually led to the fact that the Soviet Union and its citizens as the owners are legally public property assets of the USSR so to this day remain. A change in the Constitution of the USSR and the referendum on preserving the Soviet Union the status of citizens of the participants of such a treaty, only strengthen, as the supreme authority — the people of the Soviet Union established the rule of the indestructibility of the Soviet Union . That is, has been affected and the most dangerous place in the constitution of the Union — the right of republics to secede. It was canceled in spite of the strategic intentions of the organizers of the coup. From now on, no change of the ban to other All-Union referendum of the USSR legally withdraw from the Union Treaty was impossible. As well as change the ownership of the property in the Soviet Union it was impossible. There should be clarification with a reminder that members of the Union Treaty is the citizens themselves, not their representatives and kvazisubekty — republic. And innovations in the Constitution of the USSR , on the change of ownership with the Union on the Republican, had no effect on the content of public property — the State Property Amenities citizens of the USSR . The Union is a republican state property or state property (in the form of management) does not matter — it does not change the property of the co-owner — a citizen of the Union. That is, it continues to be a nation-wide for the citizens of the USSR . To understand can go to the law on state enterprises in the USSR — the state enterprise is the whole people, and employees of the company and management (the administration or management of the current terminology) is used in the company mode, no property, and e Denia. Controls the state on behalf of governments, ministries and departments are assets for operational management and not ownership. That is, the operational management and e denie modes is derived from the main mode Accessories — property. They are limited by the owner for a particular purpose specified in the statutes or regulations for companies or institutions. Founder defines the goals and highlights their property in order to achieve these objectives, establishes the rules of operation and task when creating the company or institution. This is the people in the Soviet Union , as the owner of a nationwide property of the USSR , and address governance issues in all its assets by the appointment of deputies and gave them mandates — that should make them representative. Assigned elected representatives gathered in the Councils of People’s Deputies, and there formed the executive bodies of the current and planned management and disposition of property of the people (citizens-voters and their children). That is, if it were not for the whole people of the supplies of the property, there would be no reason for the deputies’ mandates and their purpose in the form of elections, as well as any value would not have solutions deputies, maybe they were not the owner and the owner, and some besportoshnika they where for the sake of giving the job with nothing to his name. Orders deputies is logical and solely in the public property and illogical and meaningless in the absence of public property. For example, the land belongs to landowners Sidorov, and voters elect deputies and give the job to build on it a hospital or sanatorium or the factory for general use. Well, says Sidorov, building permits or build such a facility on their land, and then starts to strip everyone to enter into it, and the institution itself, taking advantage of the rights owner of the land — the territory of the host. And may not agree with such plans and then raise the question of compulsory withdrawal, and the owner will be the court with the sacred cow of private property at the ready, and not one, but all the way up to the ECHR. Why are the courts will side with the one who took over the land? Because he is the rightful owner, and the law does not allow arbitrarily take away his property. And rightly so, as otherwise there will be chaos property turnover and only forced weaning property. But though there are no courts to address the restoration of property rights of citizens of the Soviet Union — as the owners of public property in the USSR. And what prevents them recover if the Soviet Union in the legal field is not abolished, not terminated, not eliminated, and the citizens on the ground and property — land, at the same place. And the laws in force and the Soviet Union itself recognizes that it is the successor of the Russian Federation, not the legal successor of the Soviet Union. What is there is not enough co-owners of public property of the USSR? — Crazy! Lacks basic — the implementation of these laws, that is, the election of judges and lay judges in the Soviet raynarsudy. This case is the simplest of all that you can think of to restore their property rights. b) a list of voters in the district (register their documents), and hold a public vote on the election of people’s assessors in the community or in the workplace. Because it is this threat looming over the Kremlin is now partOPG — heir of the CPSU, there was fuss patching holes in the Constitution of the Russian Federation. And inspired by the Kremlin movement GCD Fёdovora deputy and chief investigator Bastrykin partOPG actively set about preparing public opinion about the necessity of amending the Constitution of the Russian Federation in order to terminate the rule of law over the laws of the Union of Soviet Socialist Republic of the Russian Federation. 1. The Constitution of the Russian Federation, of which it, is not such as to vote on its draft has been appointed pursuant to Yeltsin’s decree number 1400, the Constitutional Court of the Russian Federation recognized as invalid. 2. Even so, the Constitution of the vice 93, she has a more serious defects. For it is not voted more than half of the registered voters of the Russian Federation as it is necessary under the referendum law in Article 35 of the Russian Federation in effect at the time of voting. Hardly scored 31 percent. That is, it is not accepted and rejected ballot. The information in the same "RG" published the results can check personally. That is, there is no such act of the will as the adoption of the Constitution. 3. Even with these two there is also a more important factor — it obeys the laws of the Russian Federation of its Article 15 para. 4 and not every different international treaties, namely the agreement on formation of the USSR. As at the time of voting that was the main and only international treaty of the Russian Federation. And union agreement does not allow Russian to go beyond the competence of the main points of law. Article 74 of the Constitution of the USSR established that in case of discrepancy between a law and the law of the union republic, the laws of the Union. Thus, article 15 para. 4 of the Constitution of the Russian Federation and Art. 74 of the Constitution of the USSR mirror the same rule of the Union of the rule of law over the laws of the Russian Federation, but with the positions of the two parties to the contract. Confirm that you can see in the Declaration of State Sovereignty of the Russian Federation , declares the same thing, that the sovereignty of the Russian Federation shall extend to all matters except for the issues related to the conduct or competence of the USSR. If the Russian Federation declared itself the successor of imposture of the USSR and the debtor, the creditor as well as on foreign liabilities and assets of the USSR, how can this be done without complying with the same rules as domestic debtors and creditors? Or how can you tell that I’m successor, but the law does not intend to comply with the Soviet Union — that is, take away the property of citizens of the USSR, and the Treaty of Soviet citizens do not recognize? This is not the successor, and called the robber if someone is not clear. No independent subject of ownership of the Russian Federation and its civil servants can not be living in the ownership of the public property of the USSR — the citizens of the Soviet Union. Since the citizens their property to anyone and do not transmit to sell not charging. VOINR sent requests to the Russian President Putin and demanded a report on the use of property of the citizens of the USSR. What he evaded his administration and forwarded to the Foreign Ministry and the Ministry of Justice, and those later in Minekonomirazvitie. Ministry of Economic responded that the property sold to the first president of Russia. (!) That is, those times! How to sell and what sells this little man in through the pipe 15 and the goggle-eyed of his Government that the murmurs about the next privatization residues? And what happened to the territory of the USSR? Where are mineral resources, factories, newspapers, steamships? It’s all departed in a Bose first president of Russia sells up to now? Or is it someone you checkers or spores of Soviet citizens lost ?! Да, теперь главная задача все эти положения претворить в жизнь! выростили тупиц и лодырей при сссрр. хрущёв.и т д.
Лишь бы не было войны…. она давно идет, либо вовсе не прекращалась.